The Pentagon's new strategy for training and equipping Syrian rebels will markedly scale back the rigorous screening and vetting process designed to ensure the rebels do not have links to terrorists or extremist groups, top defense officials said Friday. The new policy will require that the "leaders" of rebel units undergo the vetting process and allow American weapons and money to flow to militant groups with little or no scrutiny of rank-and-file fighters. "This is a different approach where we are going to be vetting leaders as opposed to each individual fighter," Christine Wormuth, undersecretary of defense for policy, told reporters Friday. The new policy will make it easier to provide military supplies or airstrikes in support of specific rebel factions in Syria who are fighting Islamic State extremists and whom the U.S. determines to be friendly forces. "It allows us to be a little bit more flexible, a little bit more adaptive, a little bit quicker to get the support to the groups that are fighting now," said Brett McGurk, the top White House envoy for the fight against the Islamic State, also known as ISIS or ISIL. A model for this new approach is the support that the U.S. provided to Syrian Kurdish fighters last year against ISIS in the city of Kobani. But the new policy also raises concerns that the U.S. weapons flowing into Syria will end up in the hands of extremist groups. Some of the American-backed rebels who returned to Syria this summer turned over their weapons and vehicles to an al-Qaida affiliate known as al Nusra, military officials said. To address those concerns, the U.S. program will restrict the flow of sophisticated weapons and supplies. "We'll be providing more basic kinds of equipment. That's one way we'll try to mitigate the risk because we aren't vetting with each fighter," Wormuth said. "We're certainly not talking about some of the higher-end types of equipment" such as shoulder-fired missiles or portable anti-tank systems known as MANPADS, she said. The U.S. military also will halt its year-long effort to recruit and train large infantry units from the ground up with individual recruits. No more fighters will be recruited for the American-run training programs in neighboring countries, officials said. Instead, those fighters will stay on the battlefield. "We have an interest in them staying in that fight and going on the offense against ISIL rather than taking time out of the country to receive that type of training," said Ben Rhodes, a top White House official. 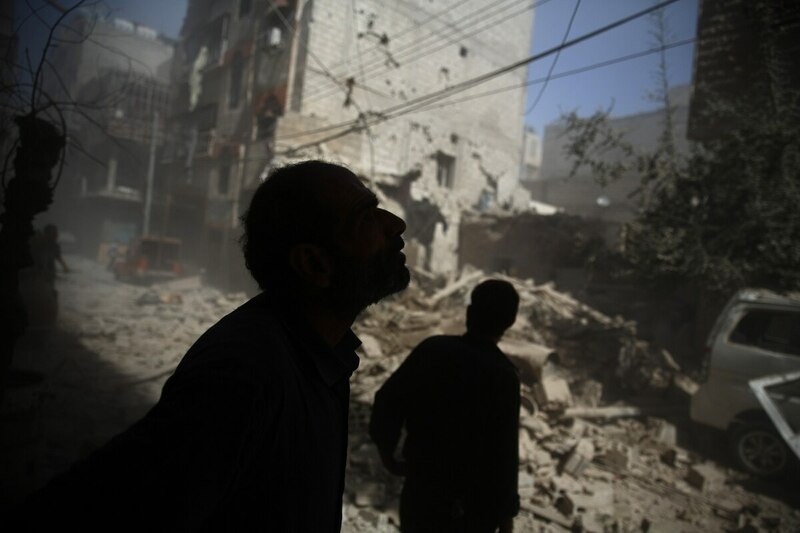 The moves come about a week after Russian warplanes began launching airstrikes against some rebel factions in the multi-sided Syrian civil war. But problems in the U.S. program long precede Moscow's involvement in Syria. Initially an ambitious $500 million program designed to create some 15,000 fighters in its first three years, the "train-and-equip" effort in Syria was stalled and derailed by an array of factors. A top military official recently acknowledged that only "four or five" American-trained rebels were actually fighting in Syria. A major obstacle has been the rigorous vetting process that disqualified thousands of volunteers for having some past ties to rebel factions that the U.S. considers extremist groups. The multi-sided civil war is a complex environment where some individual fighters change sides frequently. "We have very high standard for individuals to meet to be a part of his program," Wormuth said.